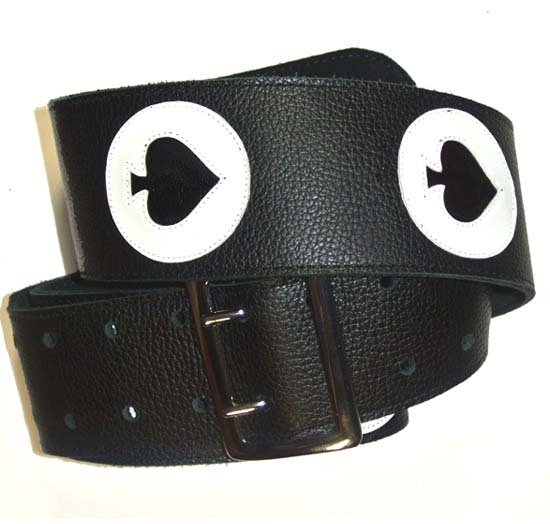 This is an absolutely gorgeous strap, but we only have one, and we don't have plans to make any more. 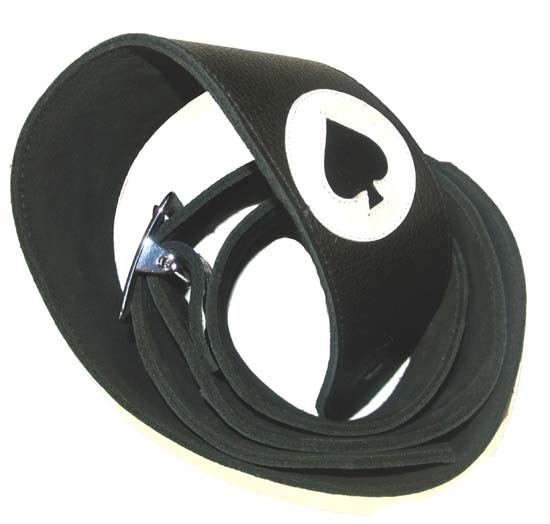 This is a copy of the Lennie Kilmister Ace of Spades guitar strap, except it's a whole lot nicer than the original! The original was printed on cheap leather, ours is created with kidskin leather overlays on a nice piece of Chap leather. Beautifully hand-crafted and built to last at least one lifetime! We only have one of these in stock, in our Regular length only.